Aluminium clad windows (or aluclad, as they are normally called) have been popular in the continent for a long time and work well in harsh and cold environments. Aluclad windows are growing in popularity in the UK, so we decided to find out a bit more. Aluclad windows are timber framed windows with a strip of aluminium on the outside, so that you get the look of timber inside your home but aluminium on the exterior. 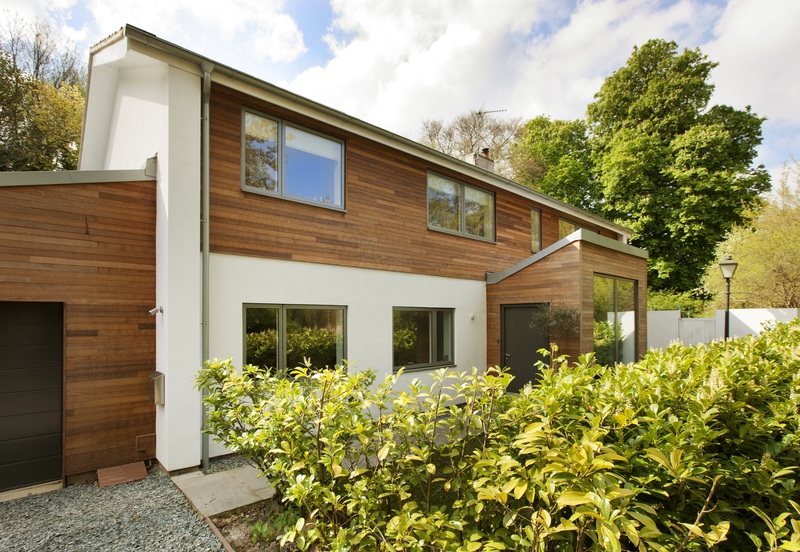 What are the benefits of aluclad windows? With aluclad windows you get the best of both worlds - strong aluminium exterior to protect against the elements and naturally insulating wooden frames for thermal efficiency on the inside. Aluminium is a strong material and perfect to protect your home against harsh weather, so a great choice in the UK and particularly good if you live in a coastal town. Where wooden window frames need frequent maintenance on the outside, aluminium requires very little. Aluclad windows are thermally superior to aluminium framed windows. Aluminium conducts the cold which can be an issue in the winter if the entire frame is made from aluminium, making your home feel colder on the inside and increasing your energy bills. The beauty of aluclad is that the frames are made of timber which is a naturally insulating material and therefore the windows are warmer and more efficient. When should I get aluclad windows? As aluminium is a very modern look, aluclad windows look great on modern style homes rather than traditional properties. They also work well in areas where the weather is harsh. They are normally made with triple-glazing for the optimum thermal performance, so perfect if you are aiming for an energy efficient home. How much do aluclad windows cost? One of the biggest cons is that they are an expensive option, especially if you are going for triple glazing too. Expect to pay around £350 - £400 per metre squared, although the costs will vary depending on the volume that you are buying and the variety of timber. Where can I buy aluclad windows? There are many specialist companies in the UK including Broxwood, Velfac and Polish Interiors. Most companies manufacture the windows in Europe where they have long been popular. Make sure you go for a hard wood rather than a soft wood if you want the windows to last for years. 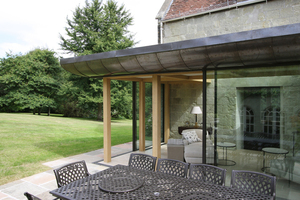 Wood such as Accoya™ is a great option as it is a sustainably sourced manufactured wood which is guaranteed against rot above ground for 50 years. It's also reasonably forgiving of any subsequent lack of maintenance or neglect. The beauty of aluminium is that you can choose from a large range of RAL colours for the windows, and either leave the inside natural or else paint them to match. 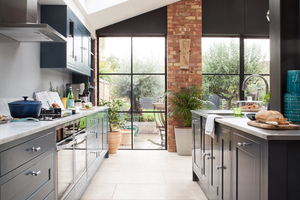 Dark grey is very popular but you can choose a colour to add character to your home. Should I choose bi-folding or sliding doors?